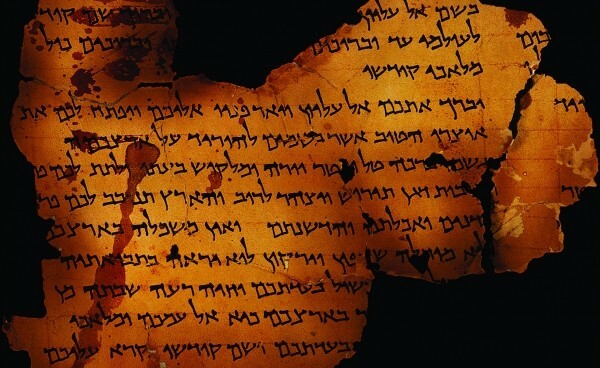 Since the discovery of the Dead Sea Scrolls in 1947, the documents have been regarded as providing key insights into early Christianity and Judaism of the same time period. The traveling exhibit coming to The Leonardo, Dead Sea Scrolls: Life and Faith in Ancient Times, also demonstrates that the scrolls—along with artifacts on display from the period—provide a vivid picture of the life of the people of the region during a transformative period of history. Not least among the reasons the scrolls are significant is that they are the earliest known copies of the Hebrew Bible (Christian Old Testament). But along with 20 of the parchment scrolls, the exhibit includes more than 600 artifacts, from ritual objects to ordinary household items like clothing and currency, some of which have never before been exhibited, and together they paint a picture of life during that epoch. The era still has new lessons to teach us, according to Kohn. “There are over 350 active archaeological excavations going on in Israel at any time,” she says, “and one purpose of the exhibit is to help people appreciate the ancient world. There’s a story behind each object in the exhibition.” A several-ton section of Jerusalem’s “Wailing Wall” on display will also provide visitors a chance to experience something that otherwise they’d have to travel thousands of miles to see. The exhibit has previously traveled to New York, Philadelphia, Cincinnati and Boston, and will make its way to five other U.S. cities., but the Salt Lake City showing is the exhibit’s only stop in the Intermountain West. For the occasion, The Leonardo will highlight contributions of scholars and scientists at Brigham Young University, which have added to our understanding of the artifacts and their deeper significance. Activities along with the exhibit include a film series, book club, family activity nights and lectures. Lecturers include Donald W. Perry—a professor at BYU and author of numerous books on the scrolls—and Lawrence Schiffman of Yeshiva University. A Dead Sea Scrolls Conference will take place April 11-12. Like the Mummies of the World exhibit that visited The Leonardo earlier this year, the Dead Sea Scrolls offer viewers an opportunity to examine something not only singular in human history, but very fragile. The low light adds an atmosphere of mystery and curiosity, but it’s also out of necessity. “The scrolls are only displayed for 90 days at a time due to conservation concerns,” Kohn says. “Light levels are limited, and temperature and humidity within the scroll cases are carefully monitored.” Still, with its use of music and technological innovations such as video projections, The Leonardo has moved beyond the stereotypical museum-going experience. Dead Sea Scrolls Life and Faith in Ancient Times is just the most recent in a series of exhibitions presented by The Leonardo that expand on the institution’s mission to explore the connections between art, creativity, science and technology, utilizing the space to educate visitors, ultimately, about our humanity. In this case, a lasting impression is made not just by presenting ancient examples of holy writ, but also by including examples of mundane objects, connecting us with people who lived during a period that influenced the course of human history.